To keep tabs on every Chicago restaurant and bar opening is folly. But to keep tabs on the most worthy? Yeoman’s work, and we’re proud to do it. 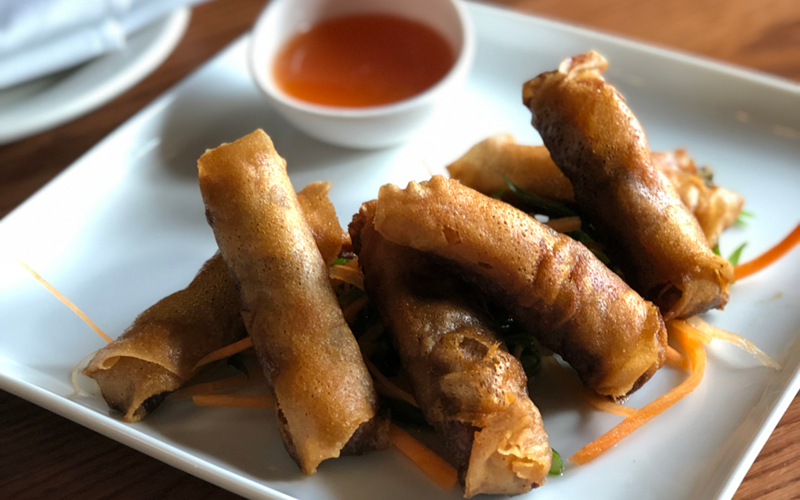 Thus we present Table Stakes, a monthly rundown of the five (or so) must-know spots that have swung wide their doors in the past thirty (or so). Bon appétit. 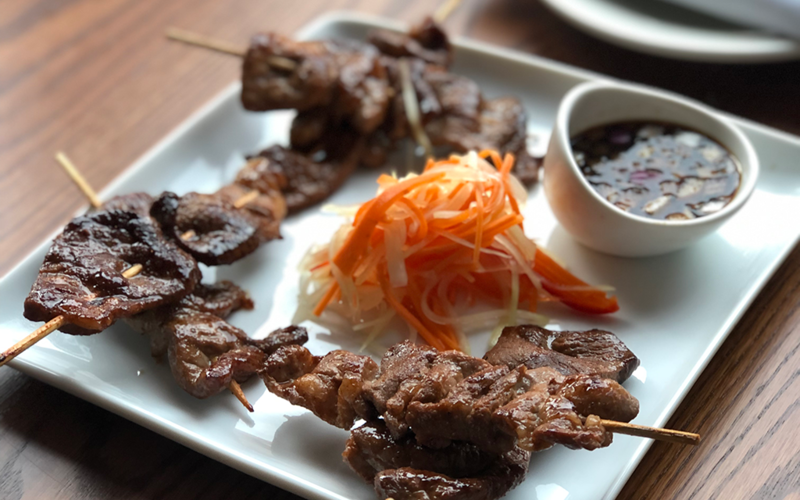 You’re here because: You’re a fan of Dave Park and Jenifer Tran’s cooking, aka the duo behind Hanbun, a well-known suburban Korean food stall that closed last year. You’re dining on: Modern Korean dishes. 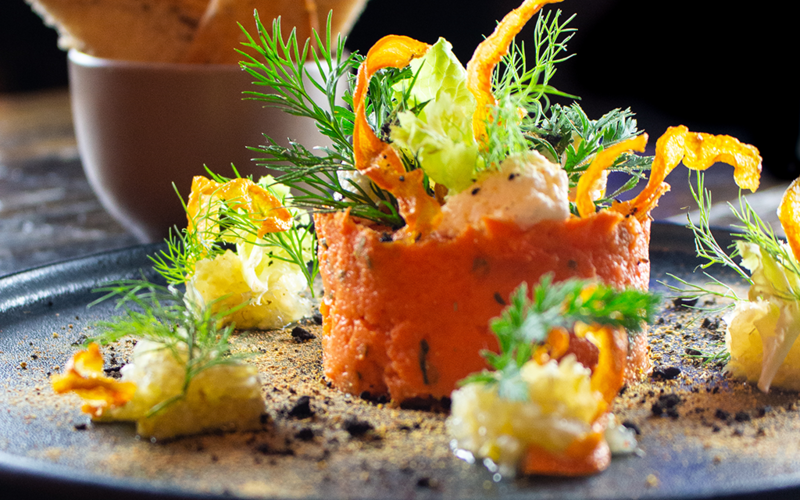 You choose between an a la carte or seven-course tasting menu. 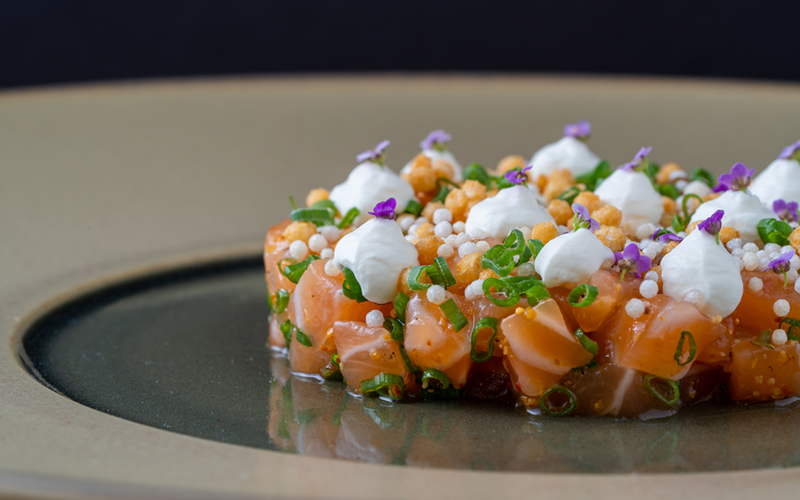 Standouts include salmon tartare with yuzu gastrique, braised short rib with confit turnips and rice cake with pickled mustard and quail egg, and each dish is artfully plated to reflect a unique representation of Korean cuisine. You’re here because: You’re up for a fun date night, complete with global dishes and creative cocktails from a Violet Hour alum. You’re dining on: Shareables like smoked mushrooms with chicken skins, Parmesan, chestnuts and puffed wild rice and larger plates like the hearty veal osso buco. 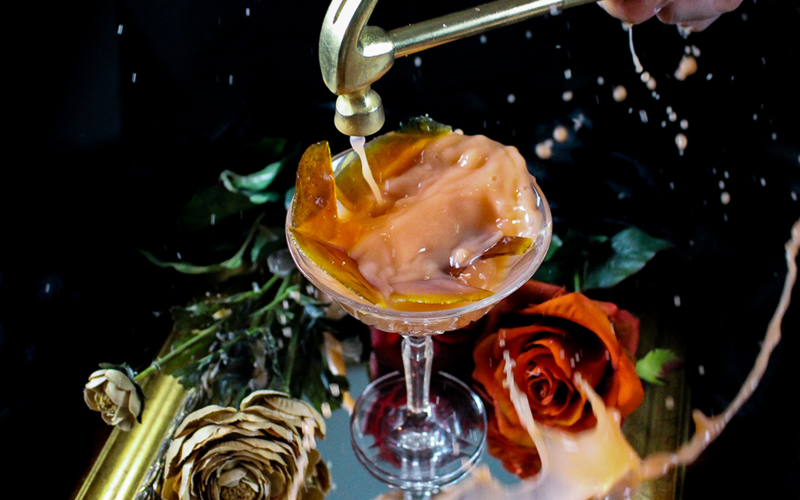 Some of the creative cocktails are served with a mini hammer on the side — use it to crack a candy “cage” into tea-infused gin if you order the Caged & Infused. And do note the on-site flower shop and tableside floral cart — it’s the perfect special-occasion solution for the procrastinators among you. You’re here because: You’re in need of a late-night snack at a colorful and nostalgic River North dessert shop. 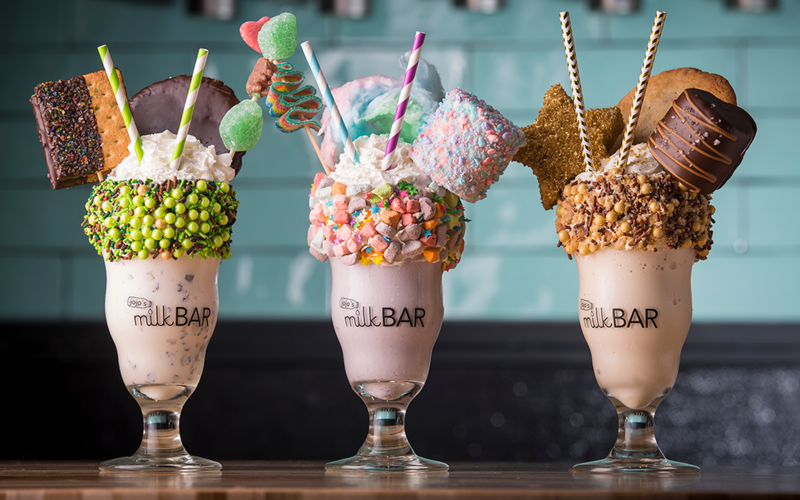 You’re dining on: Instagram-worthy milkshakes like the Gold Digger, a caramel and chocolate shake embellished with a snickerdoodle cookie, chocolate covered marshmallow and a Rice Krispies treat. Craving something savory? Comfort food is the focus here. 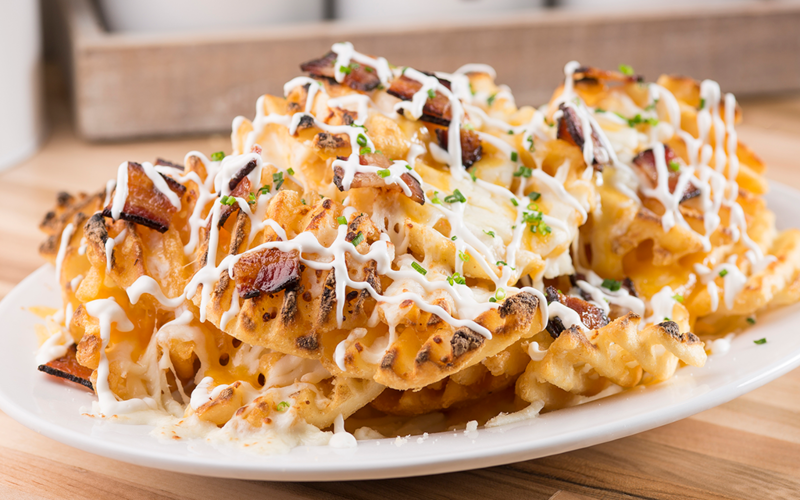 Think thick waffles fries with loaded baked potato toppings or spinach and artichoke dip baked with Brie. You’re here because: You haven’t gotten enough of Chicago’s omakase rush. 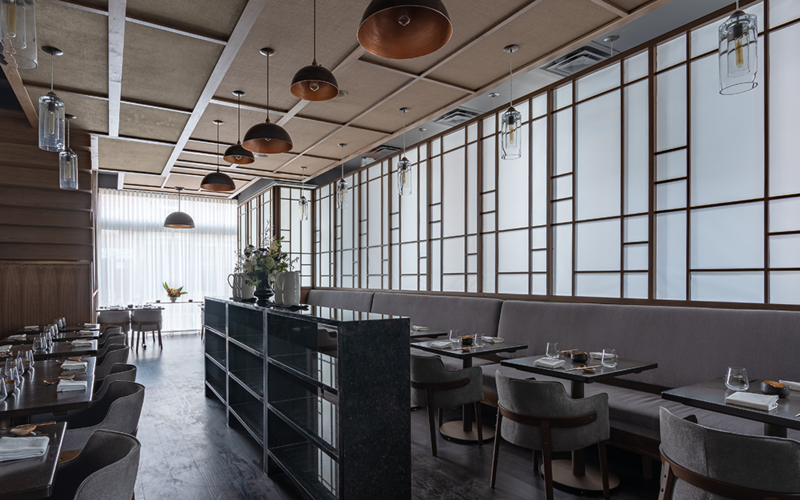 The intimate space is outfitted in ocean blue and green and centers around a sleek walnut and graphite sushi bar that seats 12. 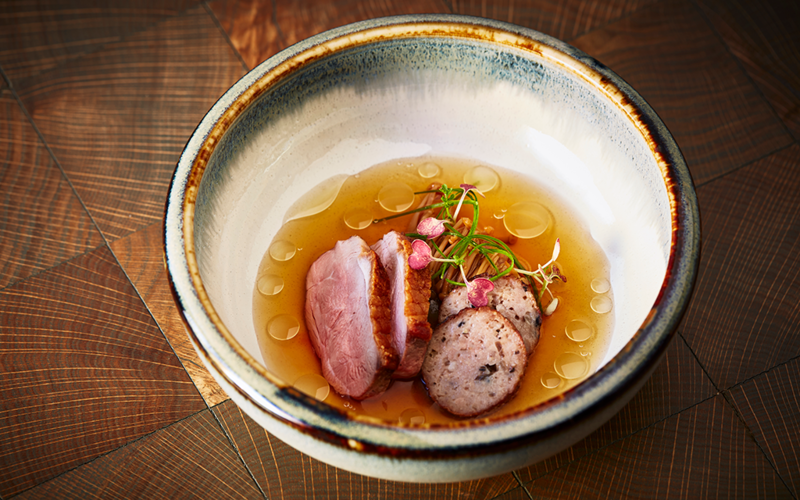 You’re dining on: A 25-course luxe omakase menu from Juno chef B.K. Park. 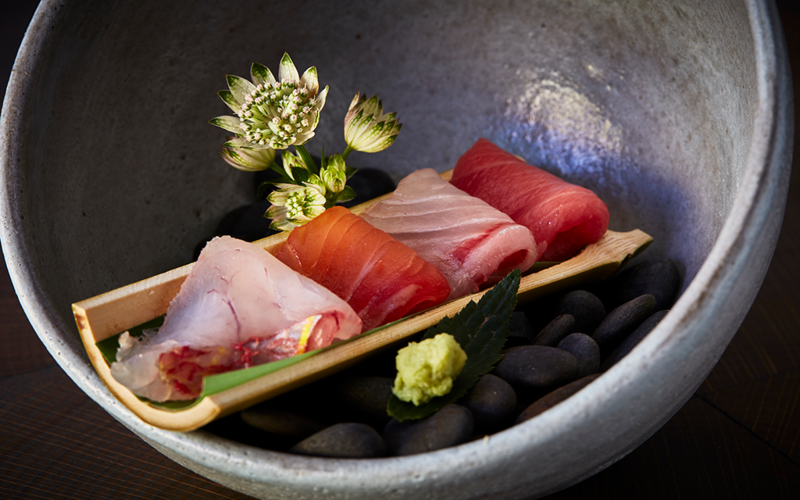 Bites include the usual sushi standouts, but served with a twist: think sea bream with red snapper liver, chive and osetra caviar, or king crab with uni miso, A5 Wagyu butter and potato chip. Beverage pairings are optional; there’s also a small a la carte selection of seasonal cocktails. You’re here because: You’re craving cheap eats and gourmet meats. 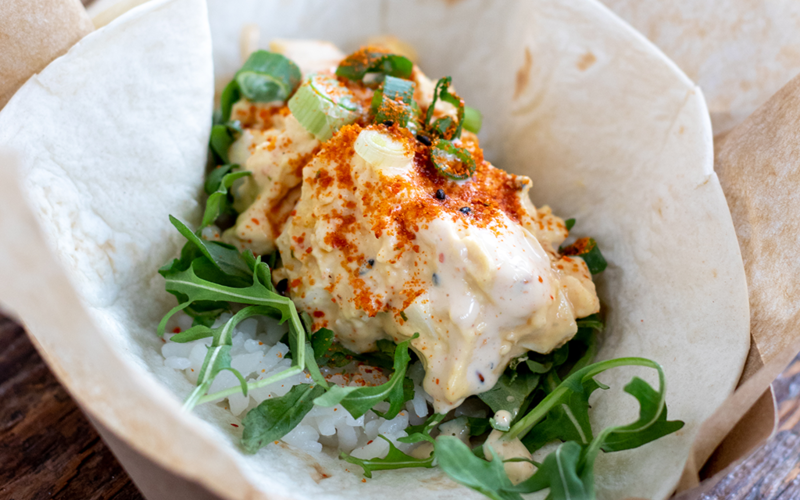 You’re dining on: Helmed by chef Brett Suzuki, Arigato Market features a small but flavorful menu of Japanese tacos. Grab a few varieties to go; we like the Hot Buffalo Chicken (poached pulled chicken, buffalo hot sauce, cucumber, Japanese aioli and Japanese rice) and the Panko Pork Tonkatsu (Japanese panko pork loin cutlet, baby arugula, parmesan, jalapeño aioli, Japanese rice). 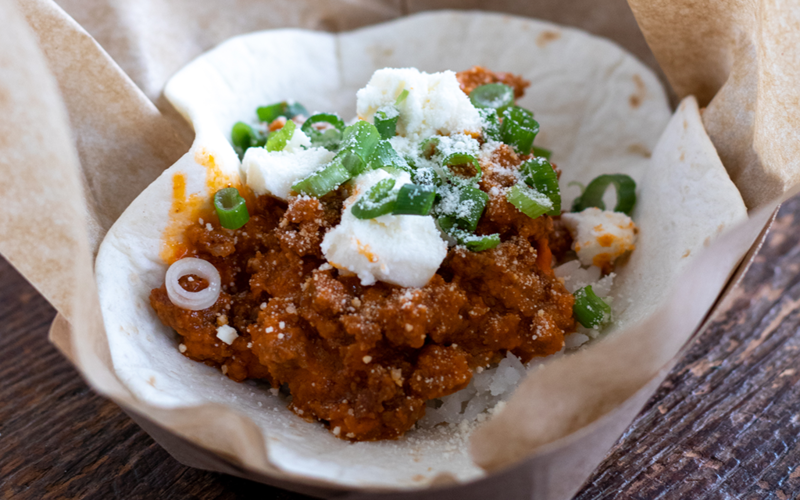 Browse the market’s selection of artisanal meats so you can prepare your own gourmet tacos at home. You’re here because: You want a taste of regional Filipino cuisine, which incorporates flavors from Spain and China. Siblings Malvin, Cybill and Marlon Tan offer a concise menu of dishes inspired by their upbringing in the island nation. You’re dining on: Main dishes like Cebu-style BBQ chicken with annatto oil, butter, lime soda, soy sauce, coconut vinegar, kalamansi, ginger, garlic, lemon grass and bay leaf paired with a side of garlic rice or Filipino bread. Save room for the halo-halo (shaved ice with ube ice cream) or the fried saba banana and jackfruit with caramel sauce and dark chocolate sorbet.